I Understand Life, Why Doesn't Life Understand Me? 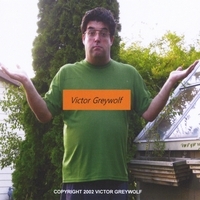 The Debut Comedy album of Victor Greywolf. Stand up comedy. Recommend if you like observational humor, or just imagine yourself in a particular situation, or just in everyday situation via the Greywolf. Enough to make you swear off life forever. Howl on. This is the debut Album of the former extra, turned open mic comic Victor Greywolf before he got known. The album is a spoken album, with lots of jokes and humorous observations on various things Victor Greywolf did before making this album. I hope you enjoy listening to it, as much as I did making it.